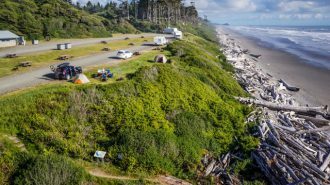 If you dream of stepping out your front door and truly experiencing nature, then boondocking may be just what you are looking for. 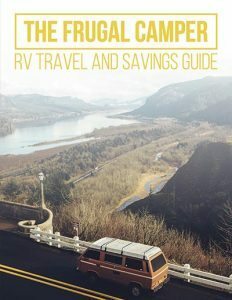 Boondocking, off-the-grid, wild camping, and dispersed camping are all terms for the exact same thing. 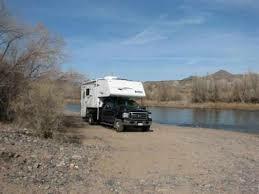 Boondocking is the art of camping outside an established campsite with no hook ups such as water, electric or sewer. 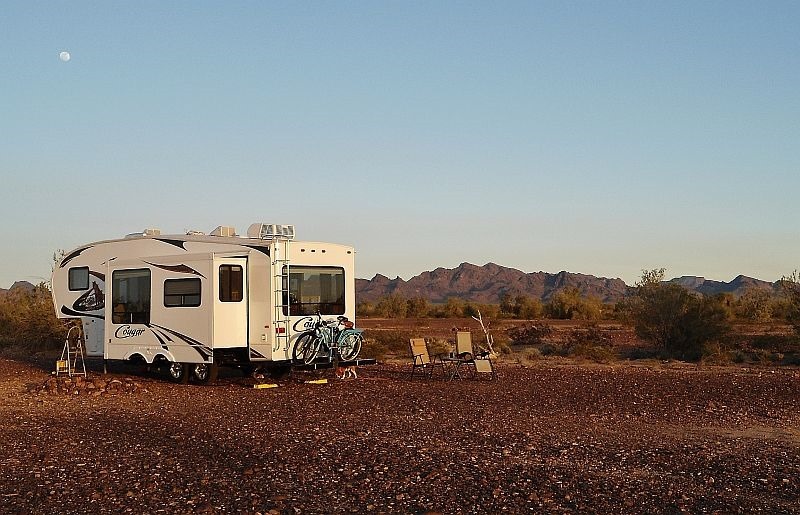 There are many reasons why people enjoy boondocking, one of which is financial savings. 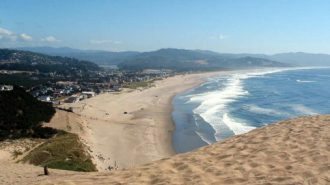 Believe it or not, there are many places all around the U.S. that allow you to camp for free! This could save you between $35 and $75 per night, which can really really add up. 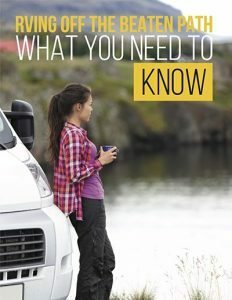 Boondocking takes preparation and a bit of know how. This article will help you understand the basic steps you need to take to camp off the gird. 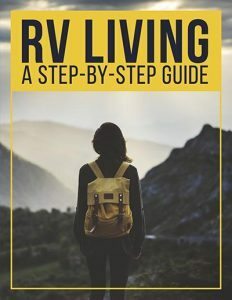 Remember, your goal is to step out the RV door and enter the world of wild America where you can experience the great outdoors. 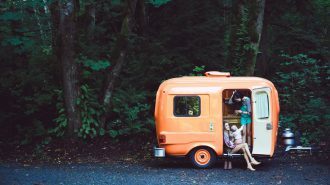 If you camp in a RV, you probably enjoy the amenities it offers. Things like lights, a refrigerator and a flushing toilet to name just a few. The thing is, each of these items requires resources! 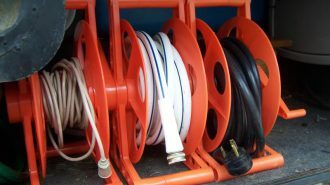 Without an electrical plug in or sewer hook up, it it essential that you learn to think differently about your power and water usage. You can still enjoy your amenities, you just have to learn to use them differently. Here are 5 steps to successful boondocking that will teach you how to enjoy the great outdoors. 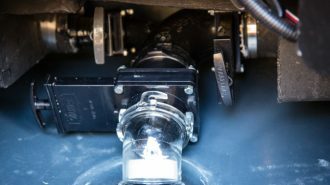 If your RV has traditional non LED light bulbs you need to switch them out to LEDs. 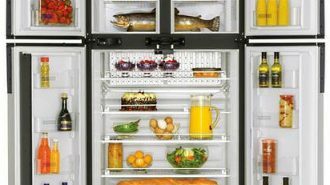 Changing to LED lights will immediately lower your power requirements. 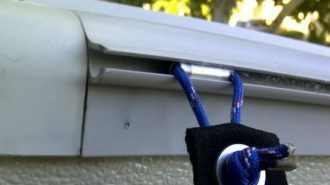 This simple change will allow you to keep the lights on all day and all night without putting a tiny dent in your battery! Another simple idea is to buy solar chargers for your computer and cell phone. This easy to use gadget can help you stay connected without using any of your precious energy reserves. 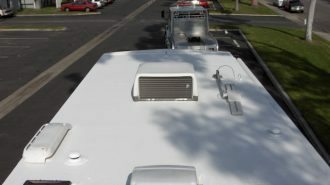 Many RVs come with generators. Some do not. Generators come in all sizes and powers. Here’s the number one question to ask yourself when purchasing a generator. 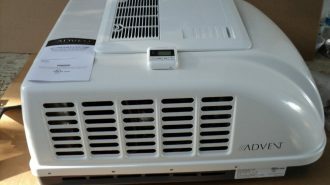 Do you want the ability to run your air conditioning? If the answer is no, then you can get by with a small unit. If the answer is YES, then you need to make sure you have a large generator which will probably make a bit of noise. Our generator is large and is run by diesel fuel, and while it’s not quiet it is certainly not overly noisy. When purchasing a generator be sure to HEAR IT in action before you install it on your rig. If you are boondocking in an area near others be considerate of the noise. In addition, if you use a generator you will need to haul fuel with you. Be sure to remember this before leaving on your excursion. 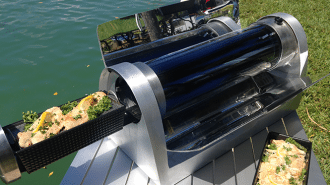 Solar energy is a cheap and easy answer for the passionate boondocker. Enjoy nature and let the sun do the work of creating energy for you. That is, if the sun comes out and shines on you 🙂 Solar panels are now available in a variety of shapes, sizes and price ranges. You can buy flexible glue down panels, portable easy to store panels, or roof mounted units. 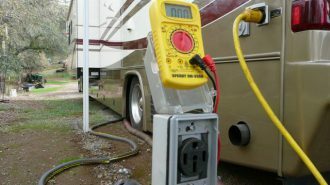 A simple solar system will keep your 12V system in the RV charged. The sun energizes the panels which feed your batteries and keep them filled with power. This will keep your water pump and lights running. 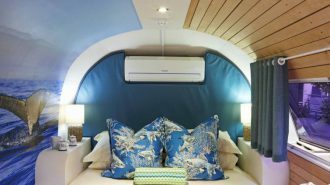 A larger system will include an inverter and extra batteries to help you power items such kitchen appliances, RVs and even your refrigerator (if it is the kind that runs on electric and not propane). 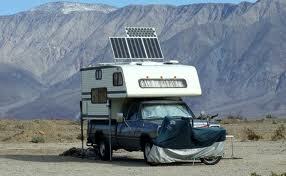 Sometimes you get lucky and purchase a used RV that the previous owners had already installed solar on. While the system may be a bit older, it still collects sun and helps boost the charge. 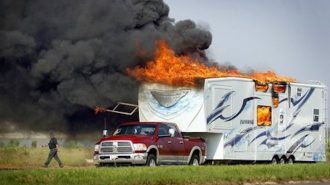 This is what happened when we bought our RV. We have 8 enormous batteries and the biggest inverter they make. The result? We can remain off the grid for a couple of weeks, running the generator only occasionally. Cook outside and use paper plates. 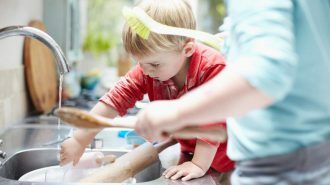 Avoid washing dishes whenever possible. I suggest preparing foil packet food which you can grill and then throw away when you’re done eliminating the need for water. Filling large tubs with water for soaking pots and pans. Choose meals that are water-free and grill outside whenever possible. Install a composting toilet. This option isn’t for everyone, but it will eliminate the need to dump your black tank. Install a macerator toilet. This type of toilet grinds up everything allowing your black tank to hold a lot more. Take navy showers. Turn the water on and off as you shower. Turn it on to get wet and soap up. Turn it off while you scrub, shave or wash your body. Turn it back on to rinse. Believe it or not, you will save a ton of water! Waiting for the hot water to come on? Catch the cold water in a bucket and use it for other purposes like flushing the toilet or washing dishes. Bring extra drinking water so you don’t deplete your tanks. You can also use a water distiller to make drinking water from nearly any source. Brush your teeth and wash your face quickly and without leaving the water running. Ok, you are packed and ready. You know what to do when you get there, but where are you going? Off grid camping comes in all shapes and sizes. Let’s look at a few of the options available to you. Overnight parking is available free in a variety of businesses around the U.S. Walmart is the most popular, but you can also stay overnight in many Cracker Barrels, Cabelas and Flying J’s etc. Always call ahead and confirm permission. There are several apps that will help you locate available parking lots such as Allstays. Many rest areas allow parking for up to 12 hours. 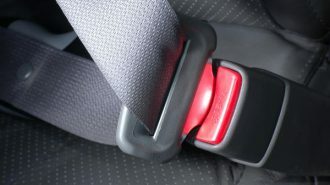 Check the rules in the state you are traveling. 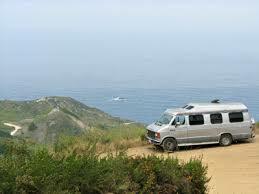 In certain states they also allow you to pull off the road and sleep overnight along the highway without an issue. 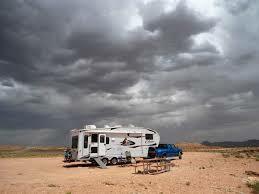 The Bureaus of Land Management (BLM) and National Forest Service offers lots of boondocking opportunities. Contact their office and be sure to tell them the size, type and length of your rig. You don’t want to get stuck somewhere. If possible, it is always best to drive up and see the area you plan to boondock in before bringing your rig to the site. Most BLM and National Forest lands will allow you to park up to 14 days as long as you take your garbage with you and leave no trace of your camping adventure. Occasionally there are small fees for this type of camping. Be sure to ask. BLM also offers long term visitor areas in Arizona, California and New Mexico. For a $180 fee you can stay for up to 6 months, and many of the areas have waste dumps and places to refill potable water. 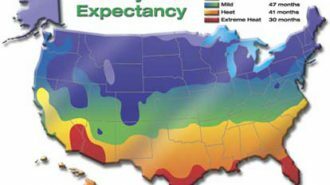 The most famous of these areas is in Quartzsite, Arizona, where hundreds of thousands of people boondock every winter! 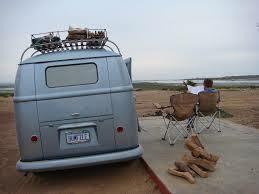 There are several websites such as freecampsites.net and campendium that can help you locate boondocking spots. 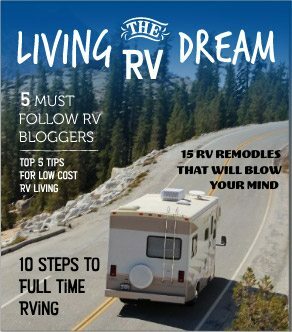 You might also read blogs by people who camp off grid daily. They usually have great suggestions, and sometimes even give coordinates to their previous locations. I like Gone With The Wynns, Wheeling It, Aluminarium, and the Road Less Traveled for this type of information. 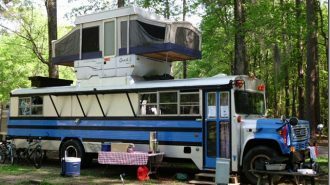 Also, be sure to consider HarvestHosts.com for creative camping options. Boondocking is a learned skill. You practice and you get better. You adjust your RV as needed. 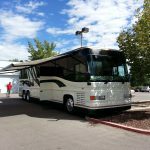 The great news is that there are plenty of places to experience boondocking, whether it’s a simple one night, or out in the wild for several weeks. Don’t forget, if you bring it in with you, you need to haul it out again. Bring lots of garbage sacks and be prepared to keep everything away from animals. In the end, your ability to Boondock successfully will come down to proper preparation. Don’t be afraid to try new places and explore new ideas. It’s up to you to have an off-the-grid adventure! So, did you learn anything? What suggestions do you have for the new boondocks? What types of equipment do you suggest? Leave your thoughts in the comment boxes below. Also, please share this article with a friend. Like it, tweet it, pin it and share it everywhere! Your help and support is really appreciated. Thanks for reading!